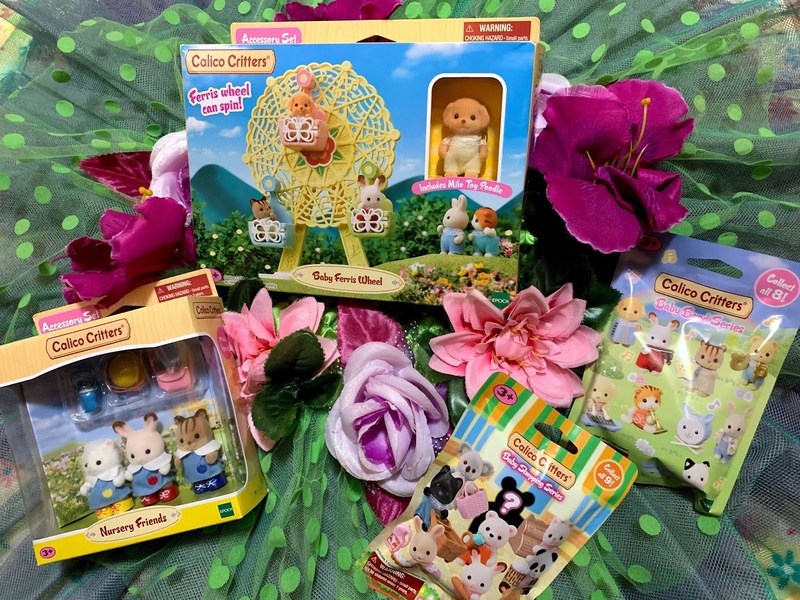 Disclaimer: Hauck Toys provided us with the below mentioned product in exchange for an honest review. All opinions are 100% Honest, my own, and are not influenced in any way. This Post contains Affiliate Links. On a typically average day, I noticed that my daughter would take her fold up chair, put her doll on it, carry a little purse, and push the chair around like a stroller. Not only was she scratching the floors, but she would get so upset when the chair would get stuck! 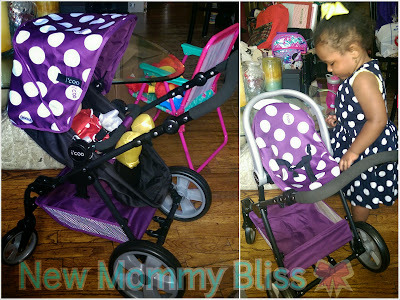 I knew it was time to get her a doll stroller. 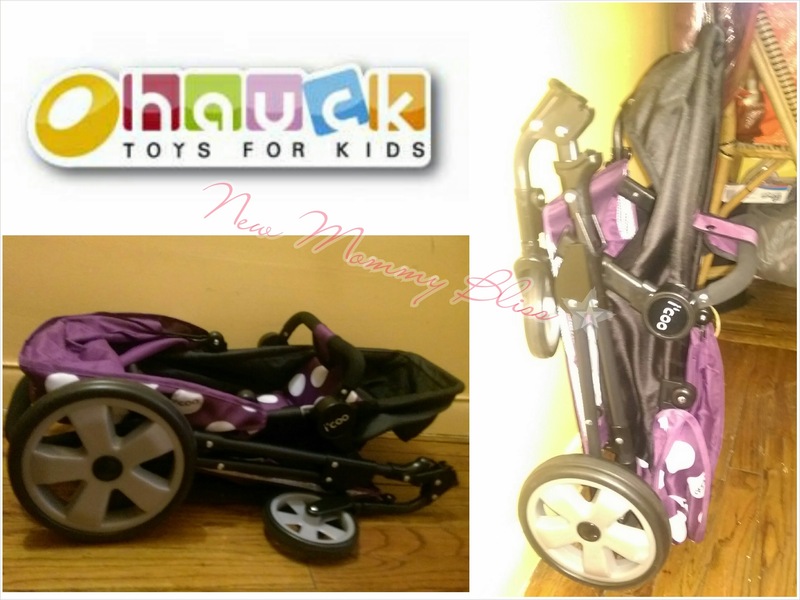 I was super excited when Hauck Toys agreed to send me their Toys R Us exclusive purple polka dot Icoo Grow with Me Doll Playset with Stroller and High Chair! The parts are interchangeable! 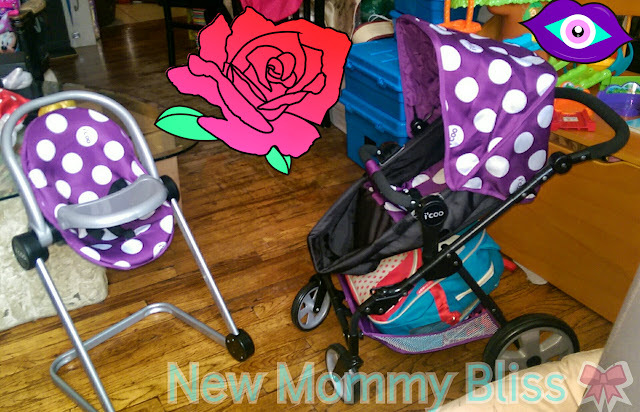 The stroller is a complete travel system. The bassinet has a strap that can be snapped around the bumper bar so that it becomes a seat. To change it up, you can remove the big seat and click in the car seat. The same goes for the High chair frame. 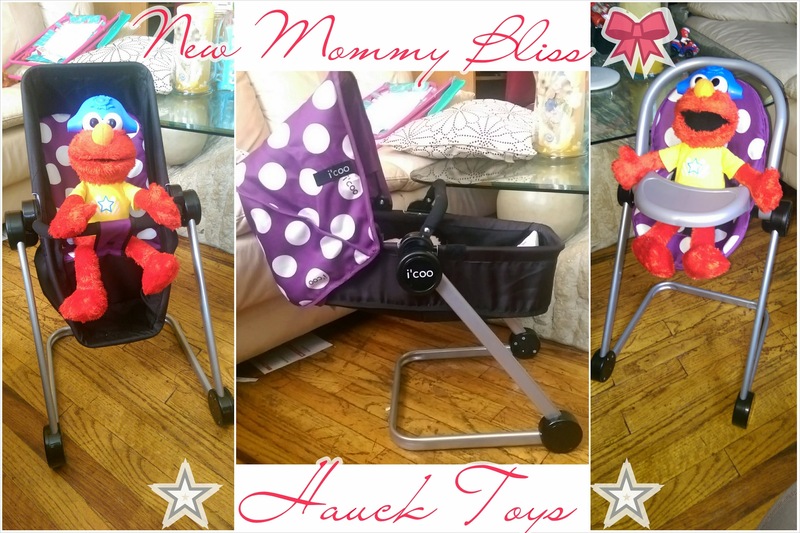 It can be converted into a Bassinet stand, high chair or Seat. Gabby LOVES her new i'coo Grow With Me doll stroller! She pushes it all around the apartment and even tries to take it into the kitchen and bathroom. 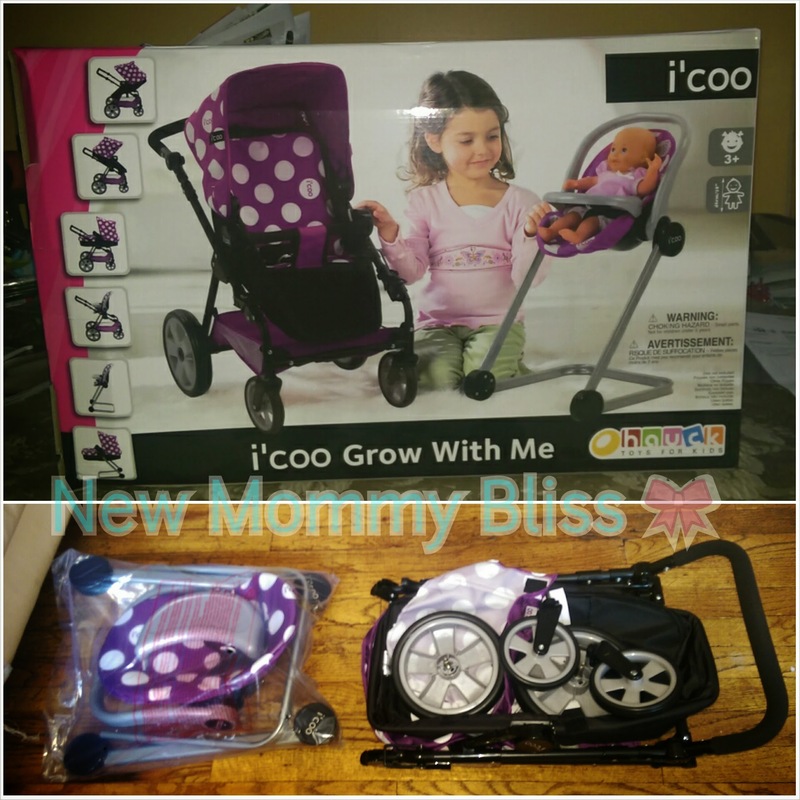 What's even better about the i'coo Grow With Me stroller compared to many others is that it folds down so that it can be stored... Just like a real stroller! Barely Takes up any space when standing up! The handles are adjustable which allows room to grow. We took our stroller outside one day and Gabby did Not want to push it so I had to adjust the handle to its highest position to be able to push it myself. Soooo happy with that feature. 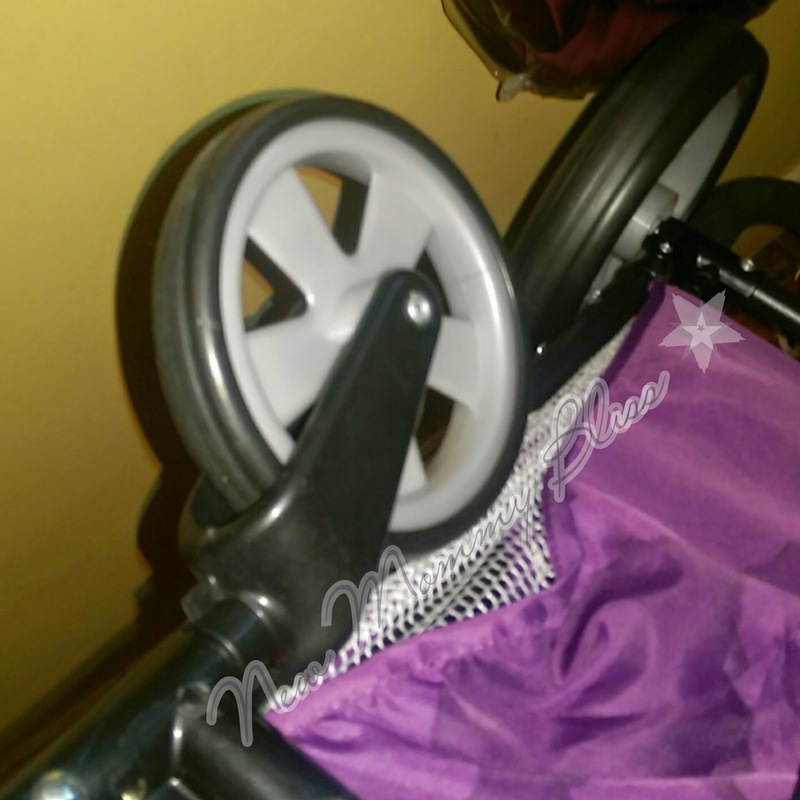 The wheels even Swivel! How awesome is that? No more awkward turns for your tot! Now here's your chance to make a lucky little girl happy this holiday season! You can either Buy it for $69.99 HERE or Try you luck in the giveaway Below! One winner will receive their very own Icoo Grow with Me Doll Playset with Stroller and High Chair in Purple! I like that the parts are interchangeable and that it folds down for storage. I love that it is sturdy and realistic! I like how realistic it looks. My daughter is very keen on the realistic details. I know she would love to push the high chair up to her little table and feed her babies. Loving that this one is purple, I'm anti pink and it's pretty awesome that the wheels swivel. This would be so much fun for my girl!! that it folds down for storage!! I like the design and how it folds down for storage. I love that the parts on this are interchangeable. That is one pretty awesome looking stroller. I love that they fold up for storage, just like the real ones! This is especially great since we rotate through toys instead of keeping everything out! I Love That Its Logans Size....Yes He Would Play With It He Has So Been Into Caring For Things I Could Get Him A Boy Doll & We Could Play! 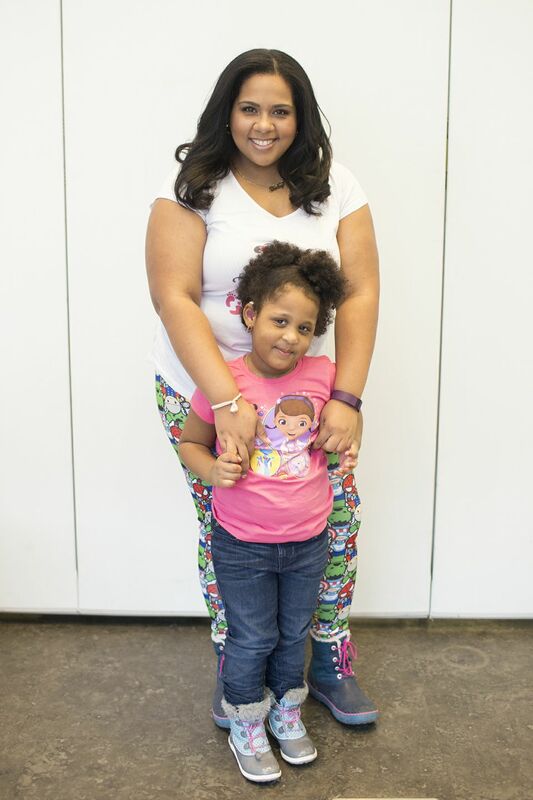 This is absolutely adorable and so is your daughter. This toy looks really sturdy and could hold up to a lot of kids play.